Bike season is around the corner and to get ready for our upcoming cycling events, we checked out the Tremblant boutiques to see what’s new in this summer’s collections. Technical gear is always evolving and good specialised gear usually makes for a great sporting experience, one you will most likely want to repeat! 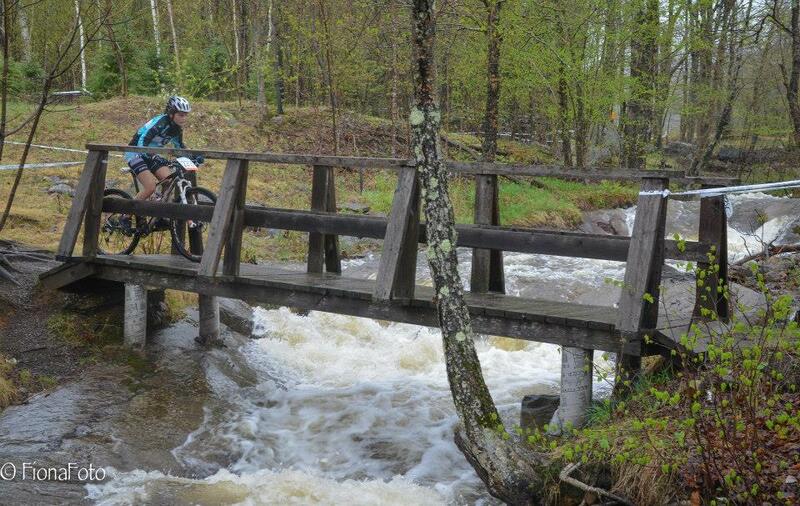 The Mont-Tremblant region has extraordinary and captivating features that make it ideal for road cycling. With the scenery and the challenges of the Laurentians, plus significant investments towards roads in recent years, Mont-Tremblant is now a major destination for recreational and competitive cycling. 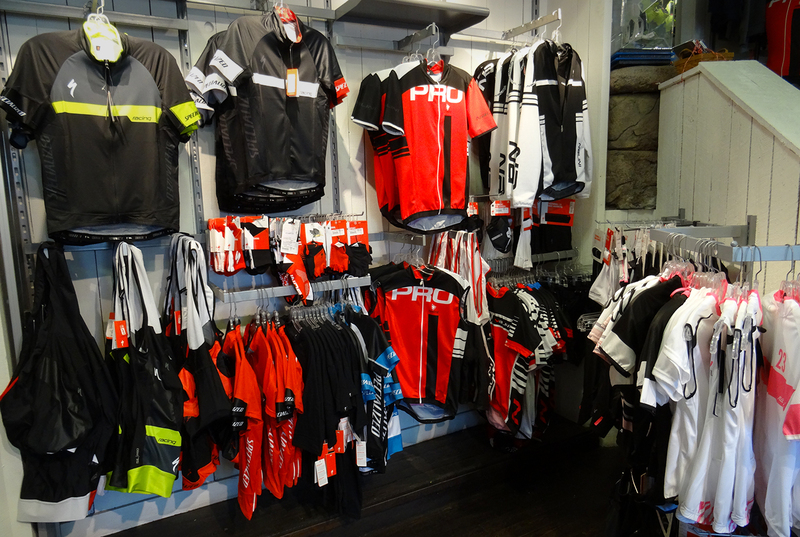 As such, our shops hold the best gear in everything from standard bike lights to top-notch technical shirts. Even if you aren’t an IRONMAN (or IronWoman), good gear can make or break a bike outing. For spring, our SMT shop experts recommend Nalini arm warmers. These long, removable sleeves are very useful at this time of year when you might see a difference of 20 degrees Celsius between your time of departure and time of arrival! The sleeves keep you warm while eliminating moisture, and they store quite easily. New this year, you can now find Specialized brand performance apparel at the Explore! shop. Renown for many years for their bikes, Specialized road cycling clothes have stood out in recent years by offering jerseys, bibs and shorts to suit all needs. A fun event to start off the season is the GranFondo! 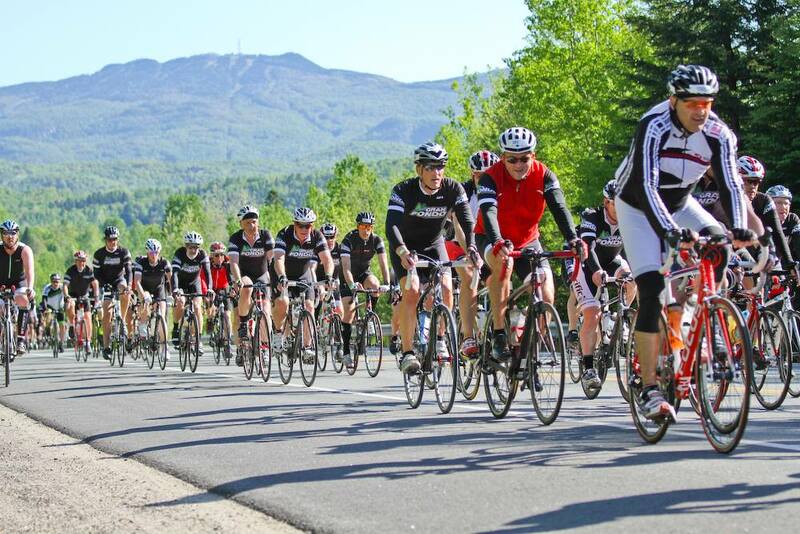 A mass-start cycling ride, the GranFondo Mont-Tremblant brings together thousands of road cyclists of all abilities. Divided into several groups by their average speed, participants will travel four distances in a non-competitive environment. This event is great for those looking to ride for fun, for good health and to take on a personal challenge in a safe environment. 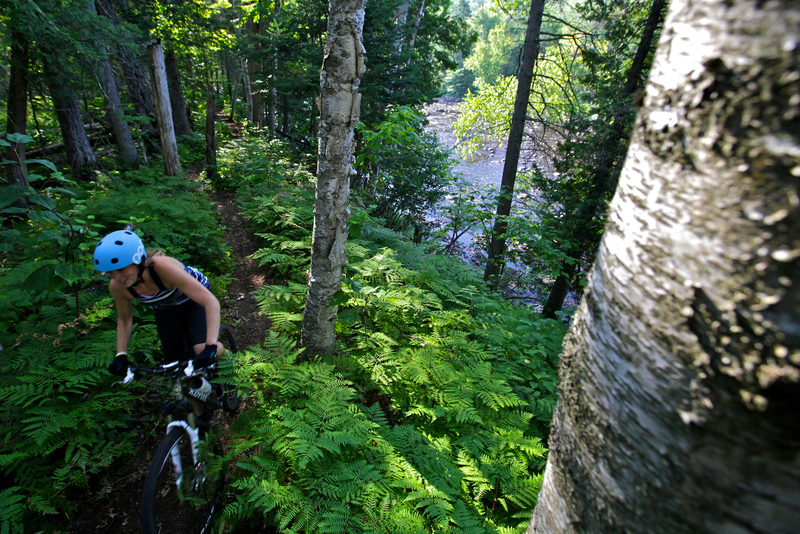 Many kilometers of mountain bike trails surround Mont Tremblant with difficulty levels varying from beginner to extreme descent. Don’t have a bike? No problem! As of May 16th, and through to October 11th, you can rent a hybrid, junior, mountain or road bike at the Chalet des voyageurs. Our rental shop pros will give you advice on equipment and trails adapted to your level. The first major mountain bike event of the season happens in May! The region has a great history with the sport, being home to the oldest nationally certified mountain bike competition in Quebec: the Canada / Québec Mountain Bike Cup. VéloMotion has been hosting this major event for the past 21 years in Tremblant.